Explore the cultivated charm of The Merchant of Venice Venetian Blue Eau de Parfum, a modern fougere fragrance for men with black pepper facets. The Venetian Blue Eau de Parfum was made for an accomplished gentleman with an eye for discovery. Independent and in control, his explorative manner commands the attention of passersby. He’s the perfect match for this impassioned and masculine scent, with an inquisitive nature that is complemented by the wanderlust feeling of Venetian Blue. Splashes of bright citrus wash over the invigorating bergamot leaves, whilst the tropical pineapple juices in the top notes stir the green, woody nuances of patchouli and birch. The earthy tones of moss and amber billow through the base, absorbing the awe-inspiring glow from crystallized amber to reveal an evocative signature scent for men. 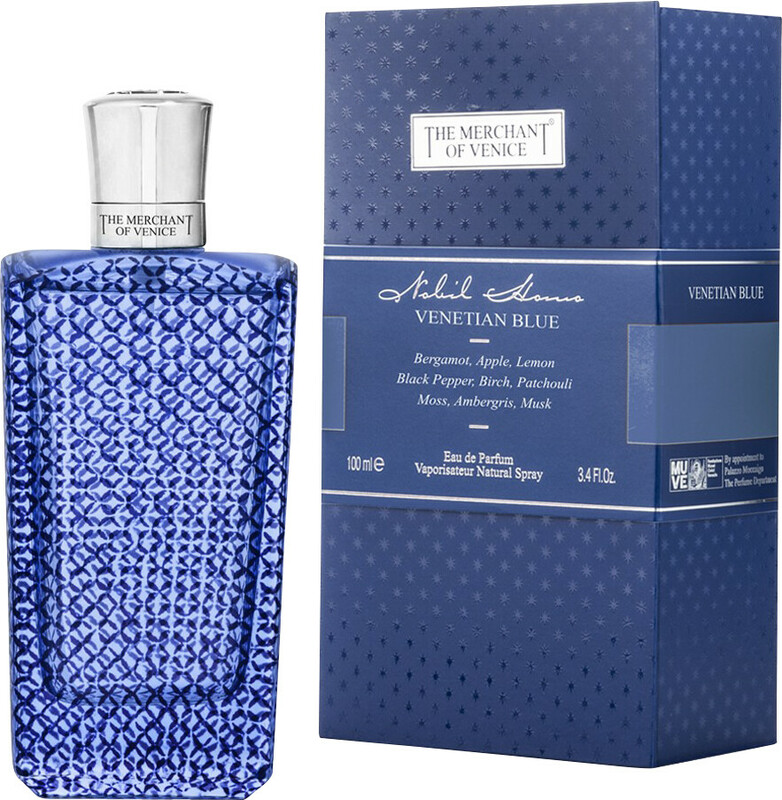 The Merchant Of Venice Venetian Blue Eau de Parfum Spray 100ml is rated 1.0 out of 5 by 1.